Have you had a passion for working with animals since you were young? Or maybe over the years, you’ve developed a love for all things furry (or slimy, or scaly), but didn’t go to college to study animals. Well, you’re in luck. Not all careers with animals require a college degree. In fact, there are lots of ways to work with your favorite creatures, with little or even no experience at all. Dog walking is a good position for those with a entrepreneurial spirit. While you can sign on to help a company (which is a good way to start), you can also create your own dog walking business. If you decide to branch out on your own you have the benefit of setting your own schedule and controlling how much you make by controlling the number of clients to take on. Requirements to Apply: To own your own company you must have business skills including scheduling and money management, as well as being good with animals. 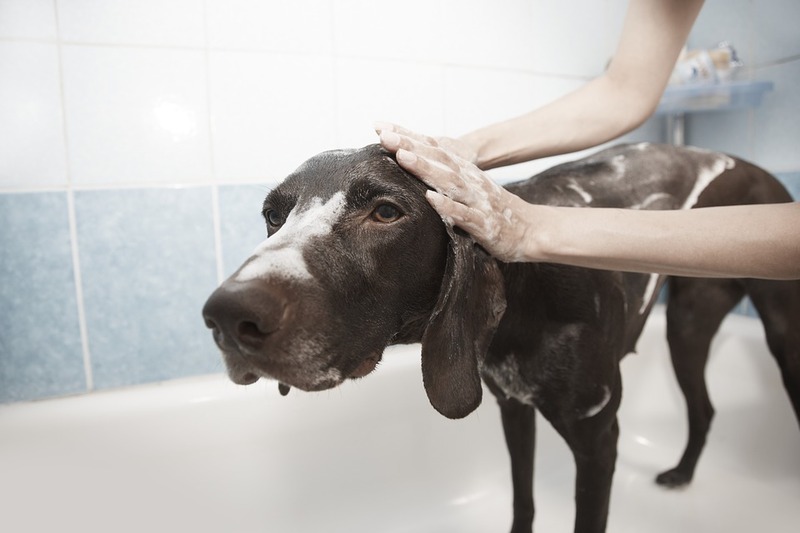 Working as a dog groomer allows you to be around dogs all day, helping them look their best. Duties include bathing, clipping, styling, and more. And again, creating a mobile or stationary business is quite feasible, and affordable, compared to many career paths. Requirements to Apply: Must have good customer service skills and be good with animals. Average Salary: Varies, ranging from $17,000 to $37,000. A herdsperson assists in providing the care for animals on the farm including ensuring their safety, feeding, cleaning, and helping to maintain the barn. Requirements to Apply: Usually, this position requires previous farm experience. It also requires the ability to do hard manual labor. Average Salary: Over $40,000. Those interested in a herdsperson position can look into Smithfield Foods. They are currently hiring herdspeople and are the largest pork producer in the country. Working in an animal shelter allows you to work with all kinds of domesticated pets. As the shelter assistant, you help with caring for the animals including cleaning, exercising, and feeding. You may also need to help with office duties as well. Bonus points: you need to play with all the animals too! Requirements to Apply: Usually experience with animals is preferred. It’s also good to have customer service skills including computer skills, greeting customers, and answering the phone. Working in a veterinarian clinic allows you to work with a variety of animals, from exotic to farm animals, depending on the type of clinic. It’s also a rewarding position. Caring for sick animals, nurturing them, and saving lives is the true return from this position. Requirements to Apply: Usually an experience with animals is preferred, although not required. Don’t fret if you haven’t yet gotten your degree, or don’t even plan to. There are still lots of ways to work with all your favorite four-legged creatures.